It’s great to use your Alarm.com mobile app to control your home when you’re out of the house. Back at home, though, voice control is a popular option that smart homeowners love. 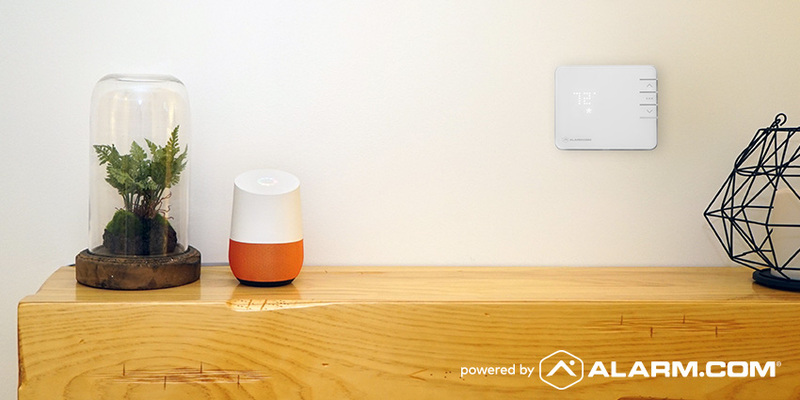 Now, you can keep your home more secure and comfortable by talking to Google Home, our newest voice-control integration. 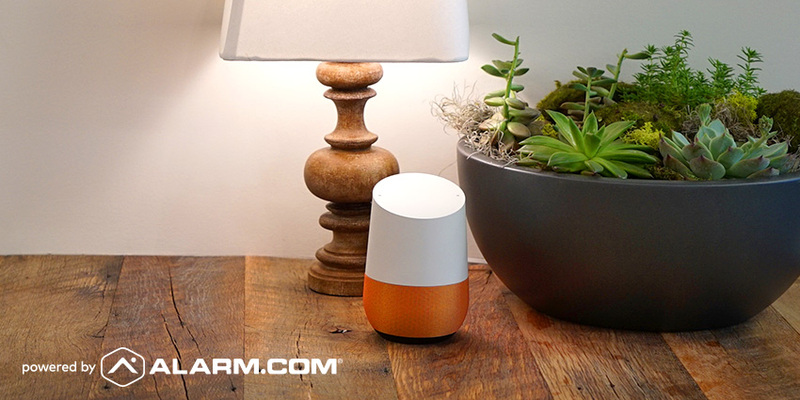 Our new Alarm.com Action for Google Home enables you to control your Alarm.com-powered home with intuitive voice commands for your smart security system, lights, thermostat, locks and garage doors. Okay, Alarm.com user: here’s what you can do. Kids in bed for the night? Finally sitting down for a movie? There’s no need to get up again—or even reach for your phone—to arm your security system for the night. Our Action makes it easy to secure your home’s perimeter, with voice control for smart locks and garage doors. Okay Google: ask Alarm.com to close the garage. Okay Google: ask Alarm.com to lock the front door. Okay Google: ask Alarm.com: is the security system armed? Okay Google: ask Alarm.com: what’s the thermostat temperature? Knowing the temperature is good, but when you’re too hot, you just want to cool down. So, we included the ability to voice-adjust your thermostat by value or comfort level. Adjust by value: Okay Google: ask Alarm.com to turn down thermostat by three degrees. Adjust by comfort level: Okay Google: ask Alarm.com to turn the temperature down. A comfort level command will adjust the thermostat by two degrees Fahrenheit. Of course, you can always specify a temperature: Okay Google: ask Alarm.com to set the temperature to 72. Okay Google: ask Alarm.com to switch on the living room lamp. Okay Google: ask Alarm.com to switch on the office lights. And, at bedtime: Okay Google: ask Alarm.com to turn off the lights. The same goes for your smart locks, with the ability to lock the house down with a single command: Okay Google: ask Alarm.com to lock the doors. Already got Google Home and Alarm.com and raring to go? Here’s how to get started. Next, open the Google Home app. Enter your Alarm.com account login and password to sync your account. You’ll have the option to create your PIN as part of the setup process.